There are currently no upcoming soccer listings scheduled on DIRECTV. Are we missing any soccer listings for DIRECTV? If so, please let us know. DirecTV is a Satellite provider available in the USA. If is widely available to US audiences. DirecTV currently offers multiple live matches from La Liga, Europa League and Champions League. 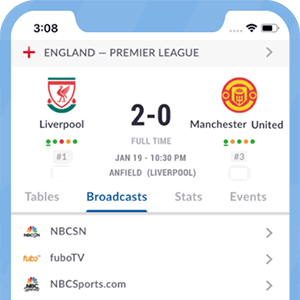 Soccer fans can subscribe to the sports package with DirecTV which includes over 35 specialty and regional sports channels such as the popular US soccer channels.